U can debate whether the U.S. labor market - with the unemployment rate declining in recent months - is really improving. Especially if you look at decreasing participation of the labor force and the still very high average duration of unemployment the actual improvement is questionable. The growth of new unemployed is getting lower and lower though. 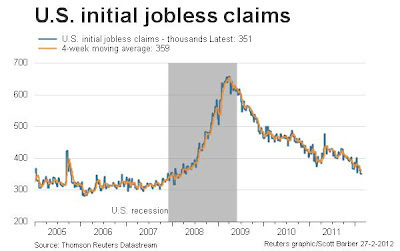 With the initial jobless claims on a four year low. 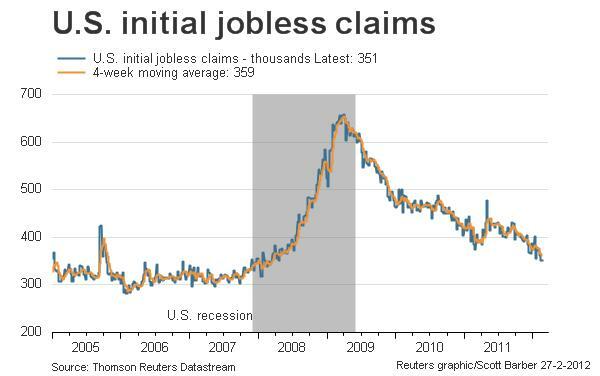 At least one sign that is really improving of the labor market.